Today I teamed up with Got Milk? to share with you a recipe that pairs perfectly with milk. I bet your thinking cookies, brownies or some kind of sweet, decadent dessert, but you couldn’t be more wrong. My recipe is the perfect complement to milk. 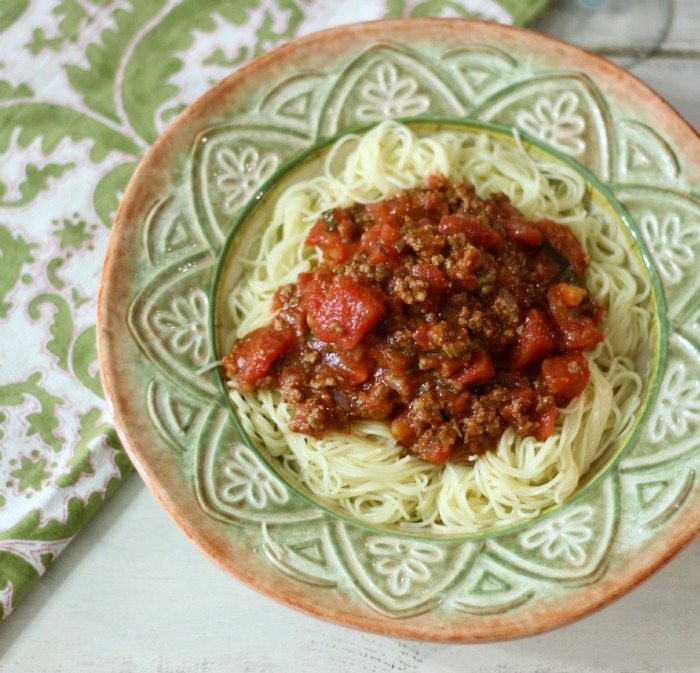 It’s rich, savory and has a little kick of heat, it’s my Spicy Spaghetti. Yup, spicy food and milk are a perfect match. My pasta dish is made with lean ground beef, tomatoes and what gives it the heat; poblano peppers and a jalapeno. My pasta sauce has the kind of heat that you feel at the end. It’s not overly spicy but gives you the warm feeling in your belly. 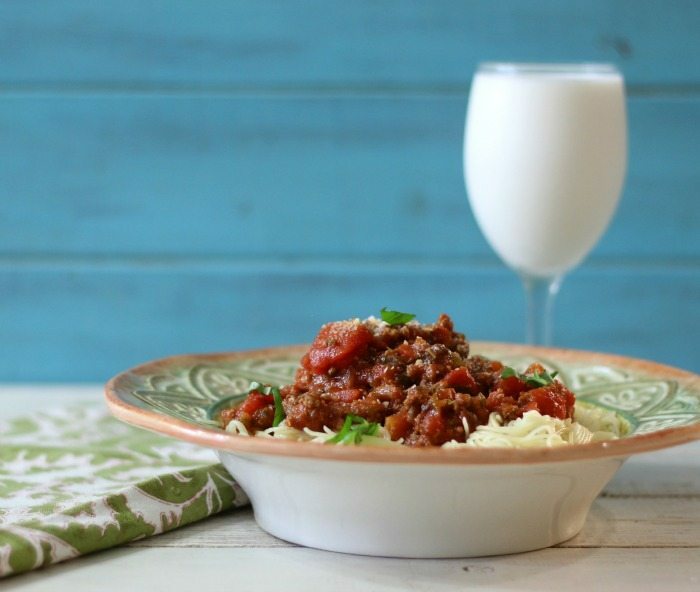 I paired milk with this dish because it cools the belly and has a nice creamy texture when you drink it. I bet you didn’t realize that. Did you know that milk, however, contains casein, a fat-loving compound that binds with spicy capsaicin oil and then washes it away. That is why milk is perfect when any spicy dish that you create. I find that pasta is one of the most romantic foods you can eat. I am unsure if it because of the movie “Lady and the Tramp” or if it is something that everyone loves? After all who doesn’t love pasta? When serving pasta on the romantic side I like to serve my milk in a wine glass. Why not? I think milk can be romantic. Don’t you? When I was a child every night for dinner my Mom would serve a big cold glass of milk with dinner. I think that is why today I have healthy bones and a big growth spurt; I’m 5’11. I have to think milk has done that. 🙂 After serving tonight’s dinner, I realized that I miss having milk with my dinner. Matter of fact the other day I had the best latte ever. My friend told me because it was made with whole milk. It was so creamy and delicious. I now order whole milk in my lattes. I don’t think there is a day in my life that I haven’t had milk. 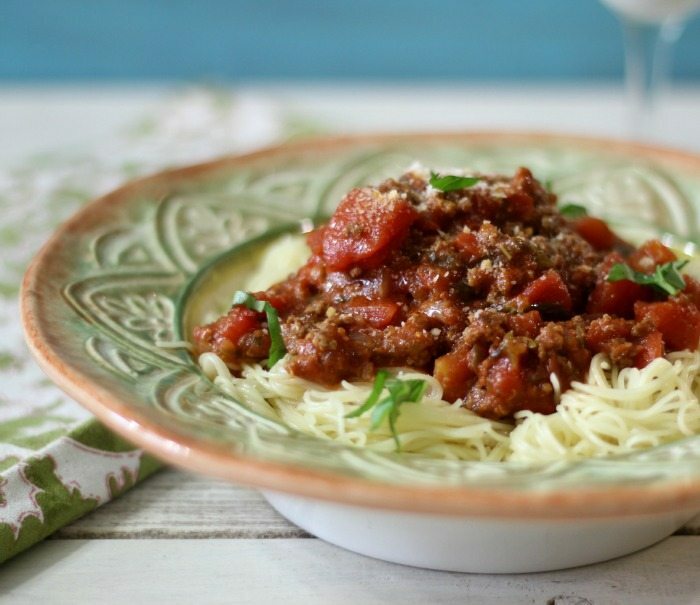 A spicy, easy pasta sauce made with ground beef, peppers and herbs and spices. 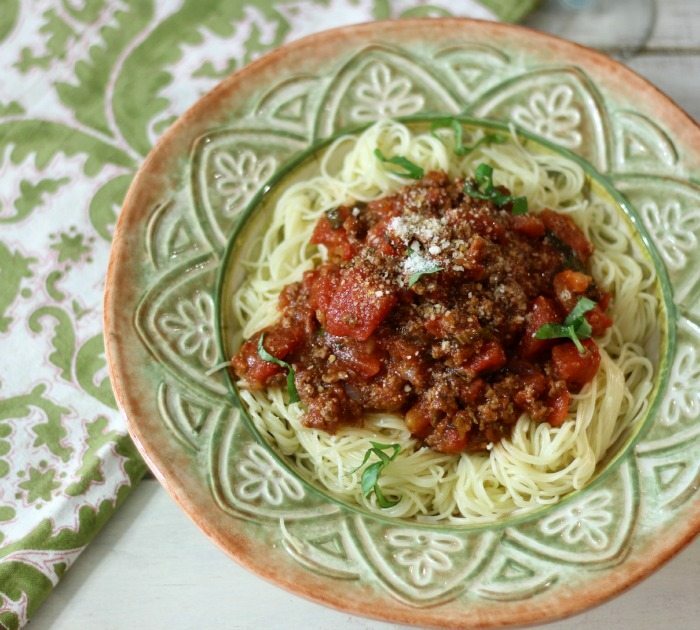 In a large skillet or dutch oven or medium heat; add ground beef. Cook ground beef until no longer pink; about 8 minutes. Drain the fat. Add onion, garlic, jalapeno, poblano pepper and cook for 5 minutes. Add diced tomatoes, tomato sauce, tomato paste, oregano, parsley, basil, crushed red peppers and sugar. Mix until well combined. Set heat to low and cook for 30 minutes. About 15 minutes in cook the pasta according to the directions. Once pasta is done turn heat off the pasta sauce. Divide pasta between 6 to 8 plates and evenly divide with sauce over top of pasta. I really enjoyed today’s recipe. 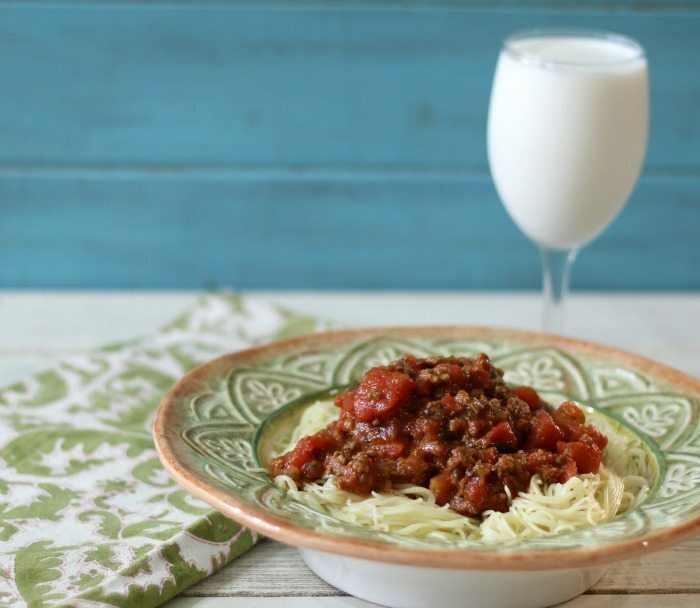 Such a fun spin on pasta and what a great pairing with Got Milk? 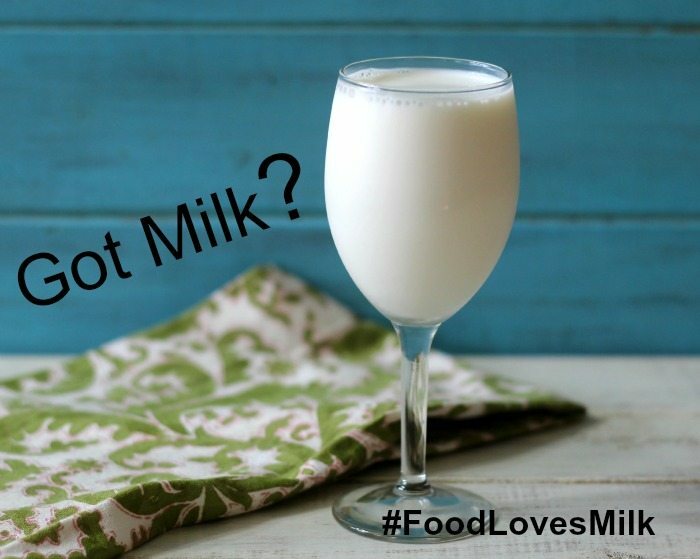 If you want to learn more about Got Milk? You can check out there website here. I also love whole milk in my lattes 🙂 Yummy spaghetti!